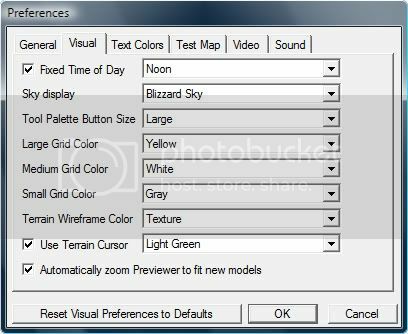 The purpose of this tutorial is to introduce and teach the basics of triggering using Warcraft 3 World Editor. Before starting to trigger anything at all, we have to modify some settings to make our lives easier later. After all, it's vital to check your tools before starting to work with them &#8211; you don't want to get decapited by a chainsaw simply because you didn't check its chain. Load World Editor (later: WE) and open &#8222;File -> Preferences&#8220;. You can see six tabs. We're interested in only three: &#8222;General&#8220;, &#8222;Test Map&#8220; and &#8222;Visual&#8220; (optional). 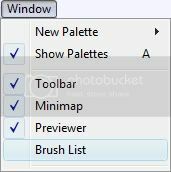 Open the &#8222;General&#8220; tab and tick the &#8222;Automatically create unknown variables while pasting trigger data&#8220; and &#8222;Allow negative real values in Object Editor&#8220; field. The first option does exactly what it says and proves very useful later, when transferring triggers between different maps. The second option is quite self-explanatory. 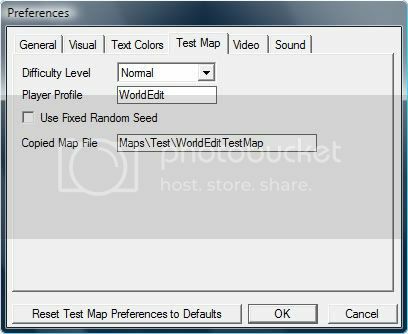 Next, open the &#8222;Test Map&#8220; tab and untick the &#8222;Use fixed random seed&#8220; option. Unticking this option allows you to retrieve random numbers without problems as the seed to generate them is not fixed anymore (you'll soon realise why this is important). After that, open the &#8222;Visual&#8220; tab and tick the &#8222;Fixed time of day&#8220; box and select the time of day. To make testing easier, I've chosen &#8222;noon&#8220; as the sunshine will make everything brigther and easier to see. This step is optional, if you like the the day-night rotation cycle. [INDENT]NOTE #1: This option does not affect the day-night cycle in-game, just the cycle inside the editor. 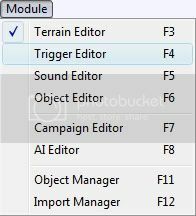 Proceed by creating a new map by selecting &#8222;File -> New Map&#8220; or just pressing CTRL + N. Choose the tilesets, other preferences you like, or leave them as they are, and click OK. Next, open the Trigger Editor by pressing F4 or going to &#8222;Module -> Trigger Editor&#8220;. You should see a trigger called &#8222;Melee Initialization&#8220;. Something that happens at a given place and time; (in programming) sensor outputs or user actions which determine the flow of the program. A proposition upon which another proposition depends. The code that is ran when the event is fired and the conditions to run the code are met. A piece of code that is automatically executed and evaluated upon event fire; the events, the conditions and the actions as a whole. - you cannot create multiboards or leaderboards during map "init"
- you can create floating texts during map "init"
- does not necessarily mean the attacked unit has taken damage! - fires when a unit starts to cast an ability, before any mana is deducted! - fires when the ability has started its effect, mana has been deducted. - you should normally use this event intead of the previously mentioned one, to avoid abusing. 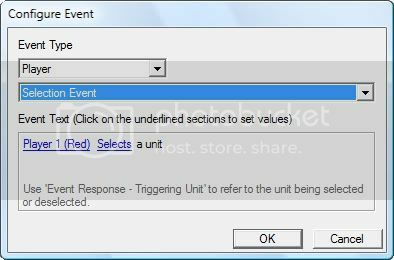 When an event is fired you'll get to use the event responses for that particular event. For example, when the event "a unit starts the effect of an ability" is launched, the "Triggering unit" (event response) is the unit doing the casting and the "Ability being cast" (event response) is the ability cast by the triggering unit. - unstable after waits, use "Triggering unit" instead! Now, lets say you've made your trigger, added all the needed events and conditions and you're about to code the actions. However, there's a small problem: you need to run one action if a particular condition is true and an other action, if it isn't. How to do that? The answer to the problem is: conditionals. Where a given action is executed if a condition is met while another action is executed otherwise. Next, what if you have an action you want to repeat over and over again? Well, you can simply copy&paste it as many times as you need, but that's pointless and takes time. Plus it looks bad. Instead, you can use loops. A piece of code that performs a series of instructions repeatedly until some specified condition is satisfied. NOTE #2: You can use waits inside a loop. Next, if you know how to loop actions you might wonder: how can I loop through players or units and do something with each one of them? It's rather simple, you must use player or unit group "loops". NOTE #3: You cannot use waits inside a player or a unit group loop. Sometimes you will find yourself in a situation where you have gathered some data but like to access it later, not this instance. The only problem is that it might be gone or overwritten the next second. How to solve this kind of problem? You must store the information to a variable. Next, give your variable a name and pick a type, depending on your needs, and you're all done. 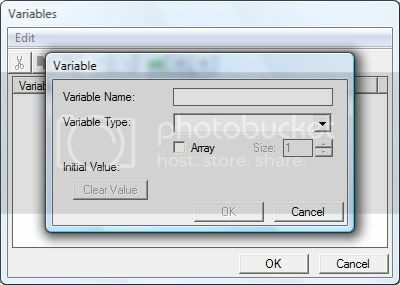 As you can see, you can tick the checkbox "Array" to make the variable arrayed, with indexes to access each array element. When you tick that checkbox, the option "size" also becomes available. This option, actually, does not modify the number of arrays for that variable, but initializes as many arrays to the default value as you inserted. Array variables are always the size of 8191, meaning, the last index you can use is 8191. Anything above 8191 will not work. You cannot use negative numbers. When you're done with your variables, you want to use them in triggers and assign them a value. That's done with the "Set Variable" action. Each index from 1 to 10 will get assigned a random number. We have now reached to the end of this tutorial and I hope this little guide has teached you the basics of coding in World Editor using GUI. Now, take your time to experiment and practise, as practise makes perfect. Here are some additional tutorials you might want to read, to make your code and your map better!